John Greer School was originally a college. Mr. John Greer was the benefactor and donated $40,000 as a gift to Hoopeston to open the college. He wanted a place where "young people of any age would be received and educated with care and patience, no matter how poor their early means for schooling had been". Mr. Greer died January 2, 1891 and the college opened September 9, 1892. 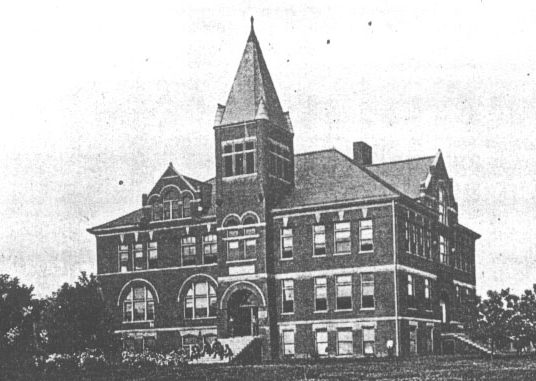 In 1914, the college combined with the high school and in 1926became only a high school when the college was dissolved and the property was turned over to the school district. A new section was added to the building in 1927, which included the gymnasium and a tunnel to connect the buildings. The coach at that time was Glen Brasel. In 1955 a new high school located at East Orange was completed. 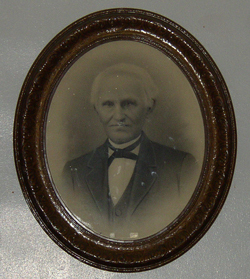 John Greer remained a high school until 1956 when it was moved to the existing high school. A new junior high building was built next to the high school in 1969. John Greer was then the Junior High School until 1969. A new elementary school was built to the west and south of the building and completed in late 1968. The old building was demolished in 1969 because it had been ruled a safety hazard and was beyond repair. John Greer became a grade school, housing K-6 grades. In 1971, Ralph Keller was principal of John Greer with an enrollment of 369 students. In 1982 John Greer became a grade center with fifth and sixth grade classes and students in the C.A.R.E. class and still is today.